When our company came across www.thewaterproject.com, we were excited to discover that their mission was to construct wells and provide clean water to those in need of it. As our business focus is wells and water filtration, we felt that creating a fundraiser to provide clean water, would be an excellent way to give back those who need our help the most. Please assist us in reaching our goal of $4500, which will allow The Water Project to have a well constructed in Sudan or Sierra Leone. Our company is vowing to dedicate 1% of all major sales towards this fundraiser and reaching our final goal. Next time you go to turn on your faucet, think about what it would be like to have nothing come out... and have no access to clean water. Hopefully we can all join together and make this goal a reality! 08/18/12 Rhoads H2O $12.22 Thank You James M. for a pump purchase! 08/18/12 Rhoads H2O $9.88 Thank You Aaron D. for a pump purchase! 08/18/12 Rhoads H2O $15.21 Thank You Doug F. for a pump purchase! 08/18/12 Rhoads H2O $20.90 Thank You Ebert K. for a water softener purchase! 08/18/12 Rhoads H2O $13.20 Thank You William G. for a pump purchase! 08/18/12 Rhoads H2O $12.33 Thank You Ray S. for a pump purchase! 08/18/12 Rhoads H2O $15.89 Thank You David Y. for a pump purchase! 08/18/12 Rhoads H2O $14.88 Thank You Patrick G. for a pump purchase! 07/14/12 Rhoads H2O $18.39 Thank You Richard L. for a pump purchase!" 07/14/12 Rhoads H2O $11.87 Thank You Josh S. for a well pump purchase!" 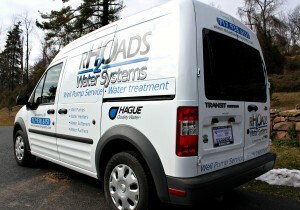 07/14/12 Rhoads H2O $11.65 Thank You Mark W. for a water softener purchase!" 07/14/12 Rhoads H2O $17.54 Thank You Jared L. for a well pump purchase!" 07/14/12 Rhoads H2O $12.50 Thank You Brenda C. for a well pump purchase!" 07/14/12 Rhoads H2O $10.10 Thank You Kelleen P. for a well pump purchase!" 07/14/12 Rhoads H2O $10.64 Thank You Cheri S. for a well pump purchase!" 07/14/12 Rhoads H2O $11.38 Thank You Gary H. for a water softener purchase!